Check out the CD on Ace Records in the UK or GNP in the US. Songs featured in the acclaimed rockumentary The Seeds: Pushin’ Too Hard – classics, rarities and many previously unissued cuts. 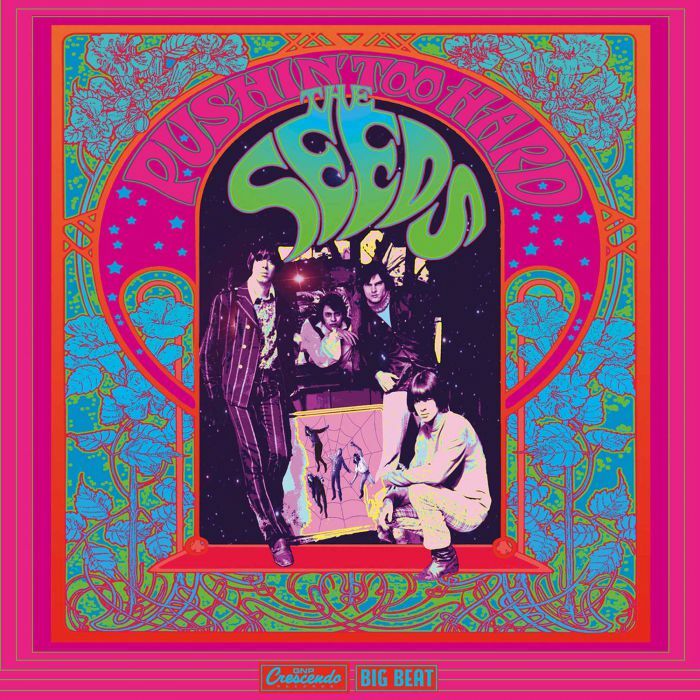 The Seeds remain one of the most iconic American rock bands of the 1960s. 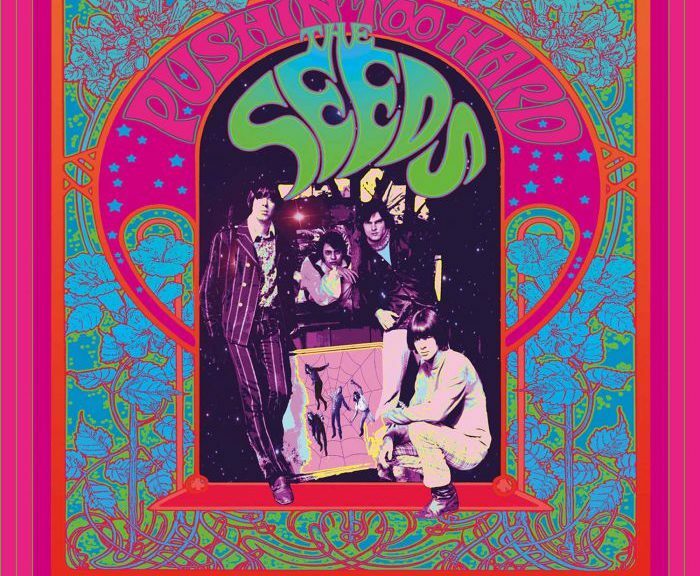 Once depicted by rote rock histories as the one-hit wonders behind the Top 40 placement ‘Pushin’ Too Hard’, the Seeds’ powerful legacy has only grown in ensuing decades, wielding notable influence on several generations of musicians. The band’s sound continues to pack a singular punch to this very day. Directed by GNP Crescendo’s Neil Norman and written/produced by Ace’s own Alec Palao, Pushin’ Too Hard is an extensive two-hour trip through the career of the exemplary garage rock quartet and its eccentric frontman, Sky Saxon. The fascinating and picaresque rags-to-riches-to-rags story is related via extensive interviews with members of the band and their retinue, vintage footage and rare photos and memorabilia, along with compelling insights from Seeds fans such as Iggy Pop, Bruce Johnston of the Beach Boys, and the Bangles. So much for the publicity spiel. It’s been a full dozen years since I first knocked on the front door of Neil Norman’s gothic mansion – well, actually a standard, if nicely-appointed tract home – secreted in the Hollywood Hills. I was there to politely inquire about reissuing the Seeds’ recordings on behalf of Ace Records. Little would I have guessed that this was the innocuous beginning of an odyssey that would take the two of us all over the United States in search of the truth about a group whose music I had grown up with, a major quasar within that magical 1960s garage and psych firmament that had me transfixed from my early teens on. Early on in our association, Neil related his desire to direct a film about the group, rhapsodising about his memories of the band. Pretty quickly it was obvious that my reissue plans – basically rehabilitating the band’s entire GNP Crescendo catalogue, in both sound and content – dovetailed precisely with his dream, and so we embarked upon assembling the film, while simultaneously rolling out the remastered, expanded deluxe versions of the Seeds’ five original albums on Big Beat, along with a definitive singles collection. Highlights have been many – Iggy was a great interview, articulating the importance of Seeds music in expert fashion – but the most satisfying by-product of working on the film has been getting to know and befriending Daryl Hooper, Jan Savage and the other original members of the Seeds, musical heroes all, and in the process making sure the story was as much about their partnership with Sky Saxon as it might be about the more copy-worthy exploits of their enigmatic frontman. Speaking of whom, not long after we got going, Sky moved on to the great gig in the sky, but I did meet with him in anticipation of a filmed interview, and he was certainly behind the project. Nevertheless, both Sky and the late Rick Andridge, whose ill-health forbade his participation in the documentary, are well represented in both sight and sound. A lot of stones were overturned in the hunt for footage and visuals, and our excellent editor Dan Schaarschmidt grappled with the raw material thrown at him with aplomb. And now, the soundtrack to the documentary provides another opportunity to marvel at the relentless drive of the band in their heyday. Their classics ‘Can’t Seem To Make You Mine’, ‘Mr Farmer’ and of course the title cut are present and correct, while many of the songs heard in the film, such as the fan favourites ‘The Wind Blows Your Hair’ and ‘Satisfy You’, are presented here in previously unheard alternative takes or versions. And there are further unreleased tracks, such as the ripping live version of ‘Tripmaker’, complete with deejay “Humble Harve” Miller’s intro rap and the sound of 18,000 young lungs screaming for the band at the Hollywood Bowl. As featured in the film, we also offer some instructive non-Seeds tidbits, including an adenoidal pre-Seeds single by Sky under his real name, Ritchie Marsh, and a completely unreleased vintage live track from blues great Muddy Waters, that too lurked in the Crescendo archives. 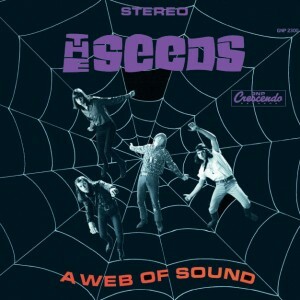 A decade later, Muddy was in the booth at RCA Hollywood when Sky and the Seeds, in a prescient move, cut a full album of Chicago-style blues with members of his band. The European premiere of The Seeds: Pushin’ Too Hard will be held at Le Beat Bespoke in London on 20 April 2019, along with a live performance by the current Seeds line-up featuring original members Daryl Hooper and Don Boomer. See pushintoohard.com for details. 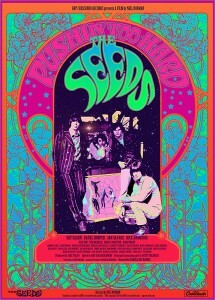 Check out the Events listing at pushintoohard.com for details on the April 20th London screening of the documentary which will be accompanied by The Seeds live. 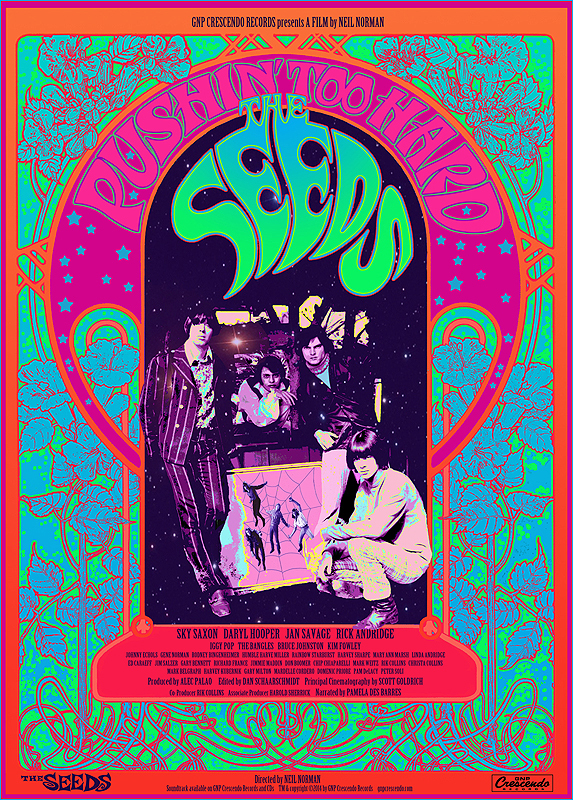 Mark your calendars for Sunday September 16th and head over to The Regent Theatre to grab a ticket for a super hot lineup – catch Love and The Seeds live and a screening of the documentary. Director Neil Norman will be in attendance, and producer Alec Palao has been holding down the bass slot for the band so check him out, too. 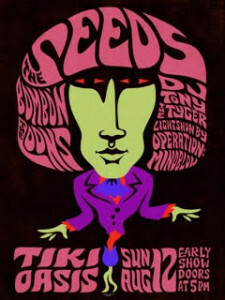 The Seeds band anchored by Daryl Hooper will be playing Sunday at Tiki Oasis in San Diego. All details, schedules and tickets at Tiki Oasis. Director Neil Norman talks about Pushin’ Too Hard, The Seeds and being on the road with the documentary. Delivery of our LPs is expected this week and we will be shipping starting next week. Get to the front of the line by pre-ordering now. It’s finished and getting packed onto pallets and will soon be winging its way to us. As soon as we have a firm ETA we’ll let you know when it’ll be available to ship. A wild screening appeared! The documentary is showing for one night at Timewarp Records in Mar Vista. Catch Neil and Alec for a Q&A afterwards, followed by a concert by the truly excellent LA band WESTERNER.